I have always had a fascination with Saturn since I have always associated the planet with the very strict God of our forefathers from the past, which gave us the laws to abide by. Judgment and punishment would be dispensed if we did not follow the rules exactingly to the letter. My thoughts are that as we were created in the image of God and as time went on our perception of our maker gradually transforms into a Jupiter type God that had more understanding and compassion. As we continued to grow and learn, the concept of God became associated with the Sun planet as an all loving and forgiving being which incorporated all the attributes that came before. The planet Saturn is considered the dispenser of discipline, structure and growth. Saturn is considered extremely malefic of the planets and is barren, cold, dry, masculine, mysterious, secretive and a builder and destroyer at the same time. The planet creates disharmony, disappointments, disputes, difficulties, differences, and may deny and delay that which one hopes for. At the same time the beneficial attributes are stability, endurance, persistence, perseverance, responsibility, accuracy, precision, perfectness and self control with a sense of duty which permeates the planet. In my thinking Saturn is the father of cause and effect, and is considered saintly when things turn out or devilish when things go wrong. These qualities as stated above are the essential elements needed to accomplish our hopes, wishes and our destiny. How we use these qualities of this planet determines how well we will achieve our goals and our purpose in this life. The truth of the matter is that we are the ones that are responsible for either making the decision or going with the flow of the general consensus which would have instigated the cause in the first place, and the effect of that action automatically follows. Once we realize and understand this truth we will apprehend that we do have a choice in our future, and that with the Universe, we are co-creators of our own destiny. Our direction in life may be unchangeable as the course may have already be charted, but how and the way we experience it is up to the choices we make along the way. The decisions that are made in life are accomplished with the help and energy of Saturn. This is why it is the condition of the planet Saturn in our charts which effects how well we perform and accomplish our wishes and fulfill our destiny. Is Saturn happy in the sign, house and the aspect it is in with the other planet? Is it in aspect to its depositor and near an angle? If the Saturn is in an unhelpful way, what planet in the chart may be of help? My first teacher always emphasized that the Universe always balances the chart, in that for every malefic a beneficial aspect was given to help offset the trials and difficulties. It is the choice of the individual how the assets, liabilities and talents to achieve the goals and the desired wishes are used. In my opinion and thinking Mercury is the planet to help us understand what was communicated to us, the planet Jupiter gives us the reason and purpose of the message. Saturn helps us to structure and gives us the momentum, and Mars gives us the energy to bring it to fruition. Understanding the condition of our Saturn in our chart is the first step to successfully fulfilling our destiny in this life, by using the planet to its fullest potential and by accepting its abilities and its limits. Growing up with a mother from China who brought with her all old ways from her homeland as well as an astrology reading in hand which gave an indication of what her life in America would be like. She knew from her ancient Chinese Astrologer how many children she will have and their individual characteristics. She knew it would be difficult in this new land, but used every talismans and charms to bring better luck to the family and to avoid harm, frustrations and delays. With this as my background, it is no wonder I take to western astrology with the intense interest I have. Fortunately for me, growing up in the states allows me to mix and combine my Chinese and Western legends and myths into one that would fulfill my needs and wants. Although I haven’t yet combined Chinese Astrology to my Western Astrology, I have begun to unite traditional and modern astrology with all the different methods being used and practiced in today’s lifestyle. When I was in my early twenties I went to live in New York City to study design, and not having much money decided to roam the streets, stores, and alley ways to study the designs all over this great city. From the buildings’ architecture to the designs in the stores and alleys, the city is bountiful with ideas for design. One day I happen on to this side door that led to an astrology book store on the second floor. One had to ring the bell and announce who one was, and with my imagination I expected to see a witch or warlock with a broomstick leaning over a cauldron. The staircase appears to be old and noisy like one would find in the old scary movies, and when I reached the landing, I again had to ring the bell. A short gentleman with dark glasses asked what I had wanted and in a timid voice, I said I was interested in astrology and would be interested in an astrological consultation, if it was in my price range. The store was immaculate and the books were all neatly stacked in the book cases, and it was like a candy store, each book was more interesting then the next. I decided I would like to have an astrology reading, and I immediately set up an appointment. Unfortunately for me I was not ready for this, as I was not prepared to ask questions, or to understand what was being told to me. As I was studying design, my concern was more in this area and to the immediate future. What he explained to me was more about my purpose in this life time and my need to study astrology and to combine it with my spiritual studies. This of course made no sense to me at that point in time, and I now regret I did not pay more attention and take notes. 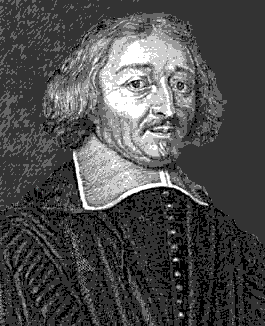 The astrologer was Mr. Zoltan Mason who was an advocate of the astrology system by Jean-Baptiste Morin. As my studies in astrology became more important to me, I again came across books written by Morin and translated into English. Having completed the cycle and circle, I regret not taking up the study of Morin’s astrological method sooner by one his strong advocates here in the states. What was really strange was at one point in my study of solar returns; I came across a book by Volquine which follows Morin’s method, which is now out of print. When it is your destiny to accomplish something, the Universe will not give up until you listen and work with it. Each day I thank my lucky stars to be reintroduced to Morin and the traditional astrology system. If astrology works and if it does predict correctly in our lives, then it must indicate that there is only destiny at work and as individuals we have no choice or decision in our future. I bring this matter up after listening to some very respectable astrologers discussing the matter, defending both sides of the issue. The following essay is my thoughts on the matter, and you as the readers have the right to decide what your conclusions will be. In one respect I feel there are some parts of our future that is definitely destiny, that part of our life which we have no control of. For example the family we are born to, our physical appearance, and our surroundings et cetera. It is as if our soul and spirit is represented by a sail boat floating down a stream toward the lake of life, we might not be able to change the direction, but we can decide where we want to stop on the way down stream. We also can decide how fast we want to go and if we wish to pass other boats. Many years ago I had an astrological reading which stated I would live way into my nineties, which brought a couple of chuckles deep in side of me. I didn’t want to express disrespect for the respected astrologer, that I was amused. Later during my studies in astrology I learnt from “Ancient Astrology Theory and Practice – Matheseus Libri VIII by Firmicus Maternus translated by Jean Rhys Bram” that the ruler of the chart, which in my case was Mercury, indicated a long life into the nineties. My point is, that part of the reading I can not change, but how I live my life is my choice. How I keep my health, and whether I bring crisis or stresses into my world that might shorten my life span is my decision. To me my world is partly destined for me in which I can not change, but I can decide how and the way I will travel the road in the direction which I can not change. How I go through life is my choice, I can sail through it with a smile, with a positive attitude or go through life in the reverse. I am the captain of my own boat and I can make the rules I wish to abide with. I have noticed on my travels through life that I tried to use positive thinking to work with my subconscious and consciousness to bring the desired hopes and wishes to manifestation, but I found that my body language told another story. When I thought I was giving an air of confidence, my body language showed insecurity. This body language, and not destiny, helped to keep away the dreams and wishes which I was working towards. Be careful not to blame destiny for our troubles, when it is just that some of our planets have not kicked in and started to do the work they were suppose to. I noticed that as soon as my progressed Sun conjunct Jupiter my attitude and my body language began to change. Remember whether we like it or not, people tend to judge us by our body language and action, and not by what we are outwardly saying. The big lesson here is the old adage “A picture is worth a thousand words” can not be denied. Now, to succeed in our dreams, we need to take the knowledge and wisdom of our natal charts and to combine it to our dreams and aspirations, and to make sure our body language and actions is equal to our hopes and dreams. I have always wondered whether we choose our destiny or does destiny choose us. As a student of astrology for many years I can attest to my stupidity in choosing some of the paths I have taken during my life’s journey. I am not sure, had I known some of the predictions during my early years, it would not have made any difference. But now I am certain that I may not be able to avoid all the pitfalls, but will avoid more then before. Like Morin, astrology proves to me there is a divine force directing this world. I love the way he thinks, because he has developed a system that works, and allows one to build upon it. There are no key systems to the interpretation of the chart, as much as a synthesis of the chart in a very logical manner. I find reading his books difficult because of the differences of the language, translation into English and the time period, but if one will persevere the fruit of the labor is worth it. The importance of always relating the directions back to the natal is a point sometimes forgotten in this modern astrology. The way he uses the lord of the cusp and the opposite houses gives meaning that makes sense. His book “Astrologia Gallica Book Twenty-Three Revolutions” deals with solar returns and is indispensable in any book collection. Since studying him I only have praise for him, as I am beginning to have for the many other early traditional and classical astrological writers and practitioners. The strange thing about Morin is I have come full cycle as my first astrology consultation was from a devotee of his system. I didn’t know at the time, but I wish now that I was more receptive to the message. The following paragraphs are my edited version of Morin from Wikipedia. You will be able to read the whole article on their website. “Most famous for his work as an astrologer, towards the end of his life Jean-Baptiste, Morin completed Astrologia Gallica which consisted of twenty six books covering natal, judicial mundane, electional and meteorological astrology. Morin is known as having been particularly concerned with prediction through methodical extrapolation of what is promised in the natal chart. 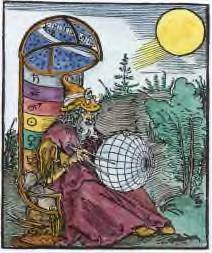 His techniques were directions, solar and lunar return, and he regarded transits a subsidiary technique though one key to accurate timing of events nonetheless. Morin challenged much of the classical astrological theory of the day, including the astrology of Ptolemy, in an attempt to present a solid set of tools while rendering reasons for and against particular techniques, some of which may be considered crucial to many astrologers before and during Morin’s lifetime. At the same time, Morin vested himself heavily in promoting in mundo directions, a technique largely based on the work of Regiomontanus that became available thanks to then-recent advancement in mathematics. In his work, Morin provides examples of successful delineation of events that otherwise could not be delineated with the same relative degree of certainty.